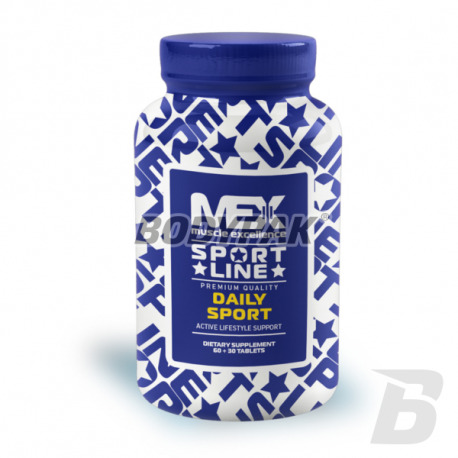 Vitamins & MineralsMEX Daily Sport [Sport Line] - 90 tabl. MEX NUTRITION Daily Sport includes all the components that are necessary for the body during increased physical activity. Presented preparation effectively complements the deficiencies of vitamins and minerals. Protects against free oxygen radicals, which are formed as a result of intense exercise and hard work. The effects of free radicals is very undesirable for our health because it can accelerate or even contribute to the development of cancer! Yes, it's not a joke - a healthy diet and supplementation is essential in everyone's life but it is certainly an active athlete. 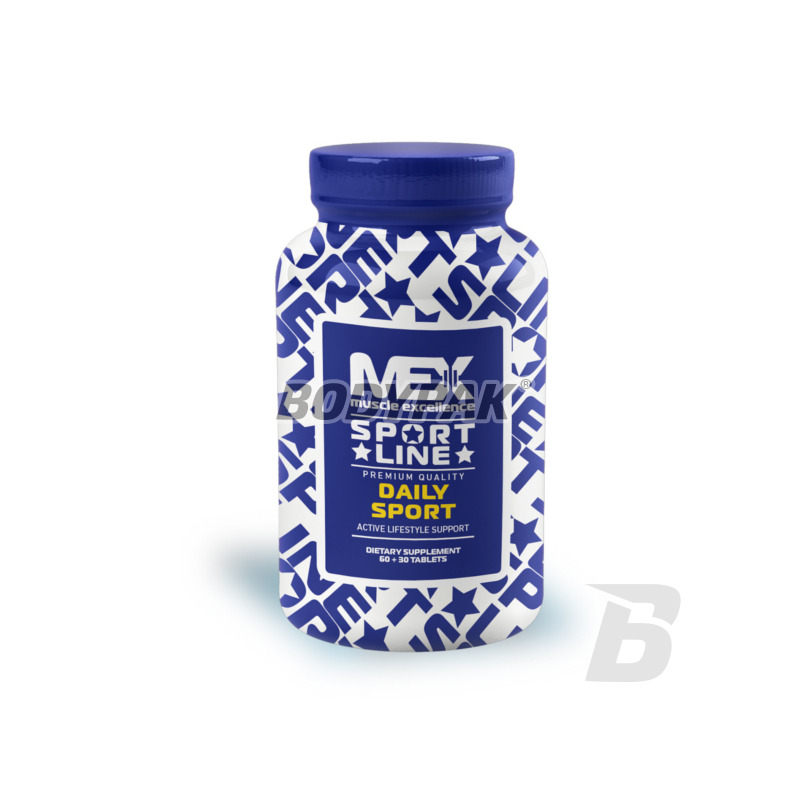 MEX NUTRITION Daily Sport contains a dose of vitamins and minerals that can enhance muscle growth and increase resistance. Each of us can have deficiencies of vitamins or minerals that effectively hinder, gaining muscle mass but also in the general functioning of the body - the solution is simple - just reach for this product! High doses of zinc and vitamin B6 increases the secretion of anabolic hormones and accelerate regeneration. MEX NUTRITION DAILY SPORTS PROVIDE YOU ALL YOU NEED! Opakowanie: 60 + 30 tabl. Stosuje profilaktycznie jako uzupełnienie witamin i minerałów. Samopoczucie wzrosło, regeneracja tak jakby również, więc działą jak należy! Complex B vitamins, each serving up to 200% of the daily value of the demand. They support immunity, proper functioning of the nervous system, but also participate in the body's energy processes. The highest quality formula with a perfectly balanced formula at your fingertips! NOW Foods Niacinamide 500mg - 100 kaps.